Being a Product Owner or Manager is challenging. We are continually bombarded with opportunities, demands on our time and ever changing expectations of customers and stakeholders. Sometimes it can all feel a bit overwhelming. I’m not a big New Year’s resolution person but I thought I would share the five key habits I have developed that I believe help me to be more effective in my role. The job of the Product Owner is to deliver value to the customer and business in the simplest way possible. This responsibility is shared with the delivery team. All too often the focus is given to volume and feature delivery over actual value. 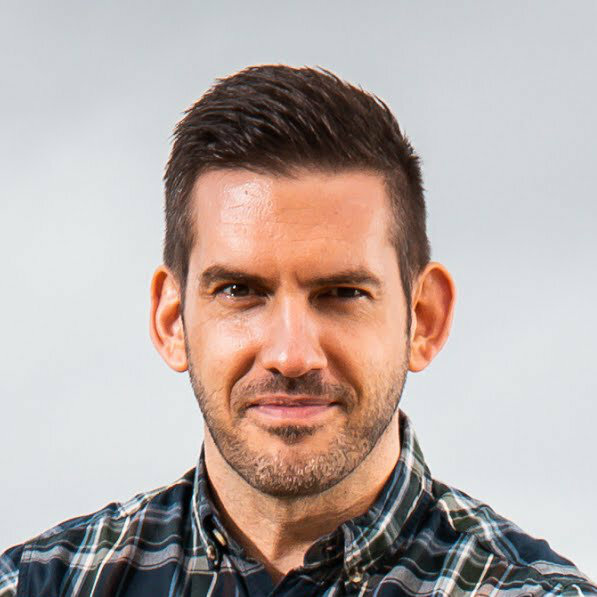 Whilst it is true that features should deliver value, by focusing on value first it continually forces you think about whether a feature is worth investing time into in the first place. 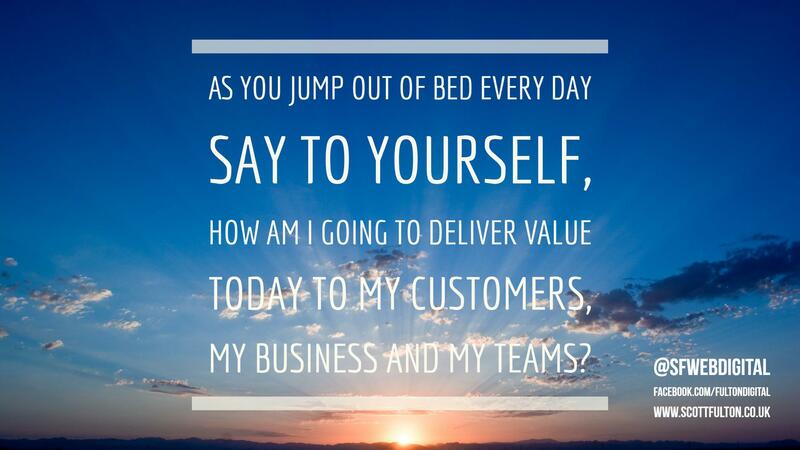 Habit number 1: As you jump out of bed every day say to yourself, how am I going to deliver value today to my customers, my business and my teams? Last year my team approached me and suggested we have a visible accessible Product Roadmap. Up until this point, the roadmap had mainly been in my head. This had been discussed a number of times with the team and we shared aspirations. 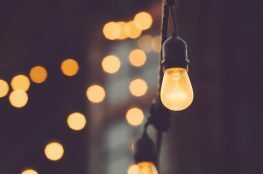 However they rightly felt, by having the Roadmap accessible to everyone, it would be our key reference point to when discussing user stories or the developers were thinking about technology or techniques to use. One of the team showed me Monzo’s Product Roadmap on Trello. If you’ve not heard of Monzo they are one of a new breed of digital banking providers. 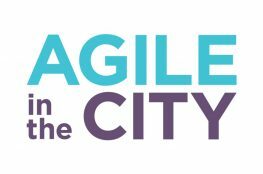 Whilst an Agile mindset focuses on welcoming and adapting to customer needs, having a high-level roadmap that is still flexible and open to change can be very helpful. You will see in the Monzo map’s readme they address this issue by saying the roadmap is not a commitment. I created a roadmap with the team in Trello and we captured our vision for short, medium and long-term for the platform. I am a supporter of the “no estimates” movement and welcome change, so I make sure that when I show the roadmap to people outside of the team I always remind them that it is based on what we know right now, it is not a commitment and that it will, and does change quite often. From a personal perspective, I have found it a useful habit to regularly review the roadmap (at least weekly). It helps remind me where our focus is and ensures I continue to align my thinking to the previous habit of always focusing on value to the customer and business. 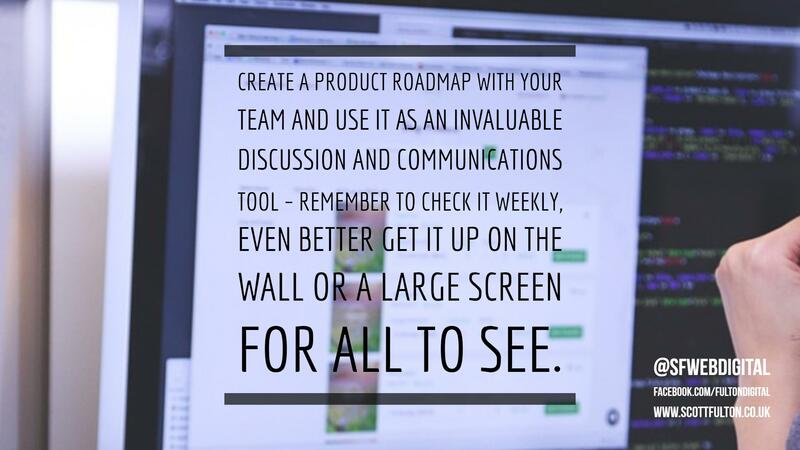 Habit number 2: Create a product roadmap with your team and use it as an invaluable discussion and communications tool – remember to check it weekly, even better get it up on the wall or a large screen for all to see. 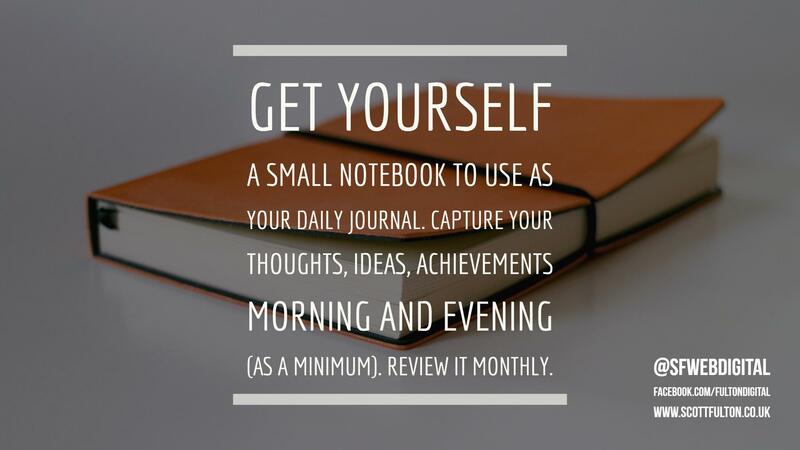 I have been reading a number of books and blogs that stress the importance of keeping a daily journal. They explain how highly successful people use them to capture their thoughts, pause and reflect and develop ideas and new thinking. Keep it visible, keep it with you – if possible take it with you where you go, or as a minimum – keep it on your desk, bedside table, kitchen table – somewhere where you will be near it when you want to capture something that’s in your head. To be an effective Product Owner or Manager you need to have time to plan, time to think, time to reflect. This will help you organise your mind and ultimately reduce your stress levels, especially at times where you may feel overwhelmed at work. Do not underestimate the power of keeping a journal. I’m getting better by the day at keeping it up-to-date. It has been helpful for me to get my thoughts and ideas down on paper. I have tried doing this electronically but found I the end, as have many, that nothing beats pen/pencil and paper for this. Habit number 3: Get yourself a small notebook to use as your daily journal. Capture your thoughts, ideas, achievements morning and evening (as a minimum). Review it monthly. To be an effective Product Owner or Manager your brain needs to be in top shape. Your brain cannot be in top shape if you eat badly and don’t get good sleep. A bad diet can affect your mood, your energy levels and ultimately your self-esteem. A lack of sleep also has the same effects, only worse. I have been there. You have so much work to do you work long hours, you compromise on sleep, you don’t get enough rest. You get stressed out, so you eat more. You become irritable at work and home. Left unchecked eventually your mental health and physical health will suffer. Thankfully the industry is waking up to the importance of sleep and recognising that the “sleep is for wimps” attitude is dangerous. A lack of sleep is not a badge of honour. 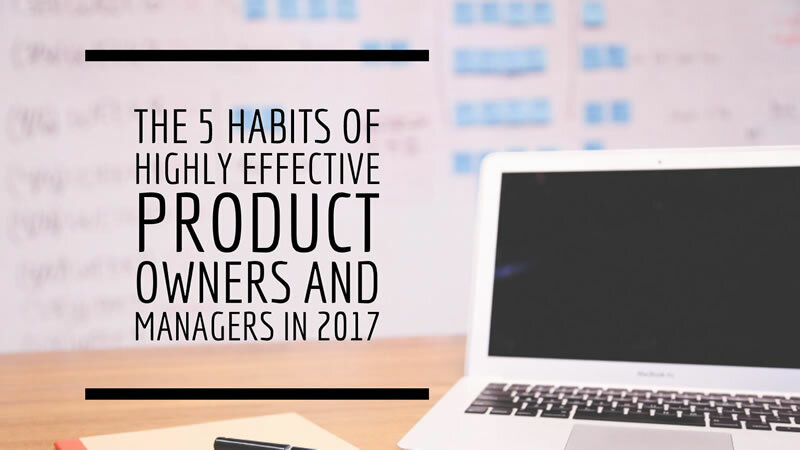 As a Product Owner, you are continually managing a set of competing priorities through a single pipeline of work. You accept that you can’t do everything and that you have to say no to things that are less important. I have found that applying the same approach to my commitments outside of work can be helpful. The best advice I have found is to develop healthy habits for sleep and eating as follows. Foods that you tend to crave when you are stressed, can make the situation worse. Habit number 4: Aim for at least 7-8 hours sleep each night. 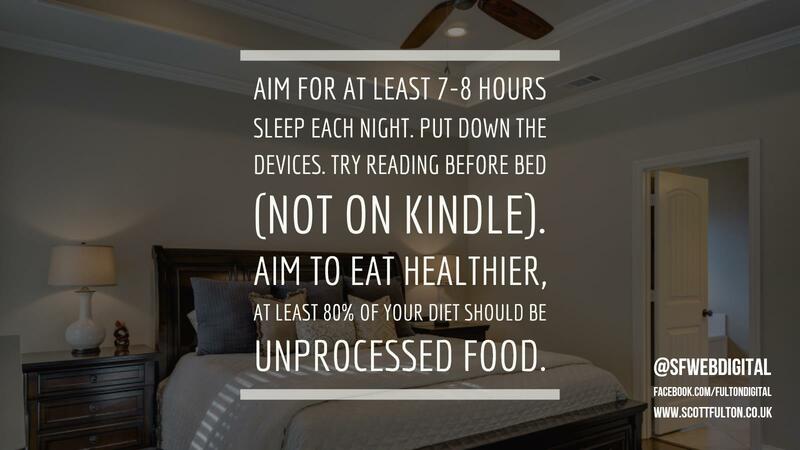 Put down the devices, try reading before bed (not on Kindle). Aim to eat healthier, at least 80% of your diet should be unprocessed food. One of the best habits I have developed over the last year is to read a lot more. Reading can have many benefits including the obvious learning aspects. I wrote last year about the books I found interesting, you might want to check them out. They cover a number of the topics in this post. Habit number 5: Read a new book each month. 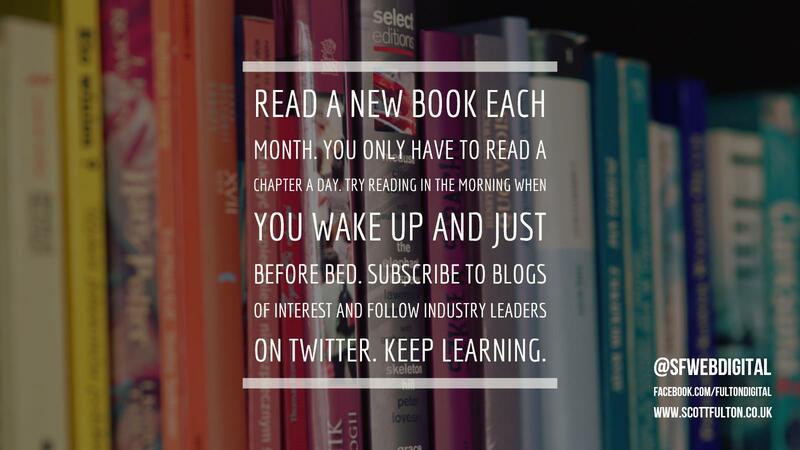 You only have to read a chapter a day. Try reading in the morning when you wake up and just before bed. Subscribe to blogs of interest and follow industry leaders on Twitter. Keep learning.